Having sought the consent of states through treaties, International Human Rights Law (IHRL) is devoted to achieve its universal scope and jurisdiction. Muslim States are well behind from the others in showing their adherence to fully preserve the spirit of IHRL treaties. Critics blame the arguable rigidity of Islamic law and its mixture with patriarchal culture being a suggested reason for the failure of Muslim States in adopting domestic legislation in order to protect and promote the international standard of human rights. Islamic scholarship pursues this debate in variant ways. Modernists stress on the evolution of Islamic law to be taken as a tool of reformation in that regard. Traditionalists accept the progressive nature of Islamic law in principle however remain stuck with the classical positions. 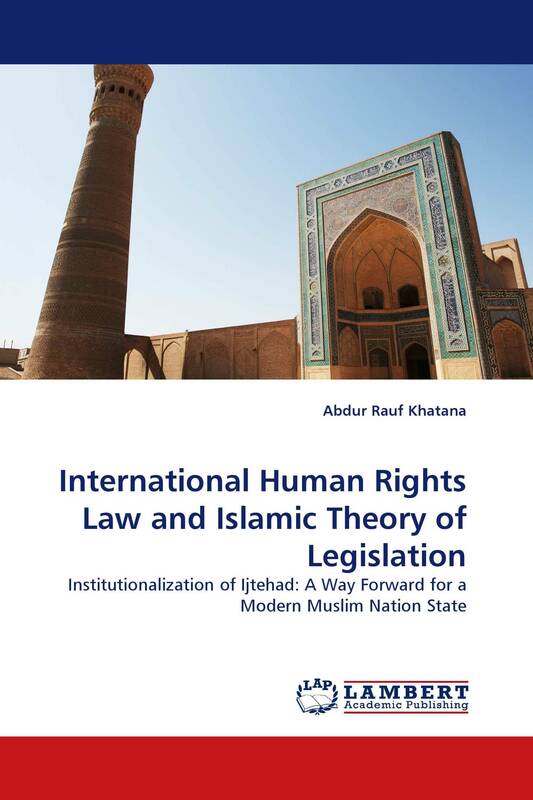 ‘Islamic theory of legislation' seeks an articulation of the eternal principles of Islamic law for law making on one hand while on the other elicits for the restoration of the role of scholars/jurists in process of main stream legislation tacking place in the legislatures of the contemporary Muslim States.